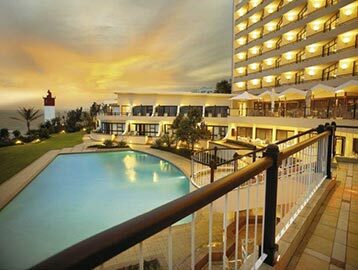 Tsogo Sun’s Beverly Hills hotel on the uMhlanga Rocks coastline is celebrating its ‘golden anniversary’ – 50 fantastic years of memories and magic moments. Guests of the hotel are invited to share in this extraordinary journey and send some of their personal video, photo or written memories of magical times spent at the hotel. This landmark and icon in Kwa Zulu-Natal has built a fine reputation for gracious hospitality and award-winning service and still remains the most glamorous, luxurious and prestigious hotel in Durban. It has been home to royalty, celebrities and captains of industry and is the place where deals have been done and memories have been made… be it weddings, engagements, that special romantic weekend celebration, family holidays or an extraordinary business event. The ultimate “memory-maker”, this pioneer hotel in the area in 1964, and one of Tsogo Sun’s over 90 hotels and 14 casino and entertainment destinations, is the catalyst of many special memories. As such, Tsogo Sun is celebrating this milestone birthday in true style … providing the opportunity for guests to share 5 decades of special experiences at the Beverly Hills and stand a chance to win a weekend stay at the hotel. This milestone celebration will take place over the next few months and embodies all that the beautiful hotel is and does. Relive the magic and share your journey as we celebrate 50 years of memories at Beverly Hills. Send in your stories, photos and videos to us on Facebook or visit our blog to see special moments already shared.